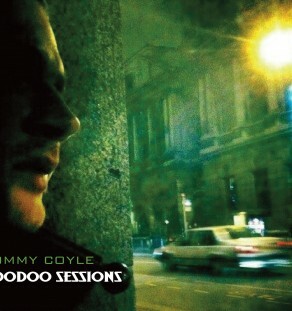 Tommy Coyle is a singer-songwriter from York, England. After travelling in Australia, New Zealand and other far flung places in Europe and Asia, honing his songwriting skills and earning his keep by playing in hostels and bars ,he moved to London in 2011 to become a full-time musician where he founded an open mic at the Camden Eye. Here he met his new best friends and band members Stephen Slesser (drums), Joe Watkin (bass) and John Fogarty (lead guitar). Tommy’s songs have been compared to artists such as Bright Eyes, Frank Turner and Glasvegas with their strong, simple melodies and lyrics delivered with passionate vocals. The songs on latest album Voodoo Sessions cover a range of topics, war (Ahmed), childlessness (Without kids to grow), and depression (Everybody Loves Ya). The album was recorded at Gary Hall’s Voodoo Rooms studio and contains acoustic versions of 10 songs plus a bonus cd of 3 songs played with full band accompaniment.